Your joints are incredibly complicated machines. Bones, ligaments, muscles, tendons—all must work together in order to ensure smooth, painless motion. Ligaments that surround the joint, called capsular ligaments, form a “capsule” around the bone ends, holding them together and aligning them properly so they can function well as a team. When these ligaments become inflamed, a condition known as capsulitis, it can cause severe discomfort and reduced range of motion. Although this can strike in almost any joint, the classic case affects the base joints of the middle toes, especially the second digit. If you have pain in the toe joint, capsulitis may be the culprit. Capsulitis can mimic a number of other conditions, particularly Morton’s neuroma—both involve pain in the ball of your foot, and both can make you feel like you’re walking on a pebble. The doctors at Foot Doctor of the East Bay will determine the precise source of your forefoot pain and devise the correct treatment plan. In the early stages you may notice swelling at the base of the toe and pain while walking, particularly when barefoot. In the later stages, the weakened ligaments can no longer keep the second digit in proper alignment, and it slowly crosses over the top of the big toe. Once this process begins, surgery is the only way to reverse course, so don’t wait—get this painful condition diagnosed and treated early. Pain in the toe joint as a result of capsulitis affects people of all ages, but there are some risk factors. Work or hobbies that require lots of stooping or crouching, such as gardening or plumbing, can overstretch your ligaments and lead to this condition. Frequently wearing non-supportive footwear, such as high heels or flip flops, also increases your risk. In addition, you’re more likely to develop capsulitis if you have existing structural deformities in your foot, such as a bunion or a shortened metatarsal. Capsulitis is a progressive condition, which means that it will not get better by itself—simply waiting it out will not work, and continuing to ignore the problem will only make it worse. Fortunately, in the early stages, conservative treatment methods can be successful. First, stay off of your feet and use ice to minimize swelling. Oral medications, including over-the-counter anti-inflammatories, can help fight pain too. After we get a chance to examine your feet, we may tape or splint the toe to keep it properly aligned, and we can show you some stretches to help relax and strengthen areas of tightness. Often, the best treatment method is to improve your footwear, either by finding you the right shoes or fitting you with custom-made orthotics that relieve troublesome pressure spots and correct faulty biomechanics. Devices such as arch supports or metatarsal pads deflect forces away from the sensitive joint, preventing the condition from worsening. If your second toe has already begun crossing over the first, surgery is the only road back. If you are in this situation and conservative methods haven’t been able to at least relieve your discomfort, we will help you select a proper surgical procedure. 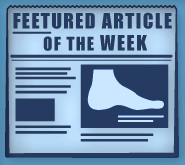 If you’re experiencing pain in the toe joint, don’t wait until it becomes unbearable. Schedule an appointment with Dr. Michael Stein and Zeindelin Ahmad, DPM of Foot Doctor of the East Bay. You can be sure we’ll find out if it is capsulitis—or any other issue—and offer you the highest quality and most effective care. Reach us at 510-483-3390 to set up an appointment in San Leandro, Los Gatos, or Pleasanton, CA.